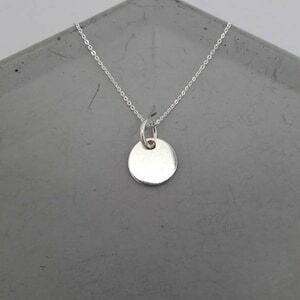 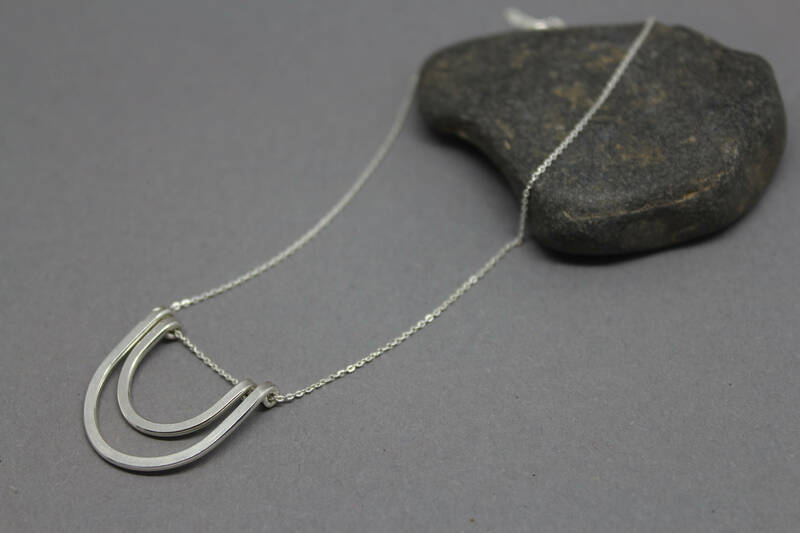 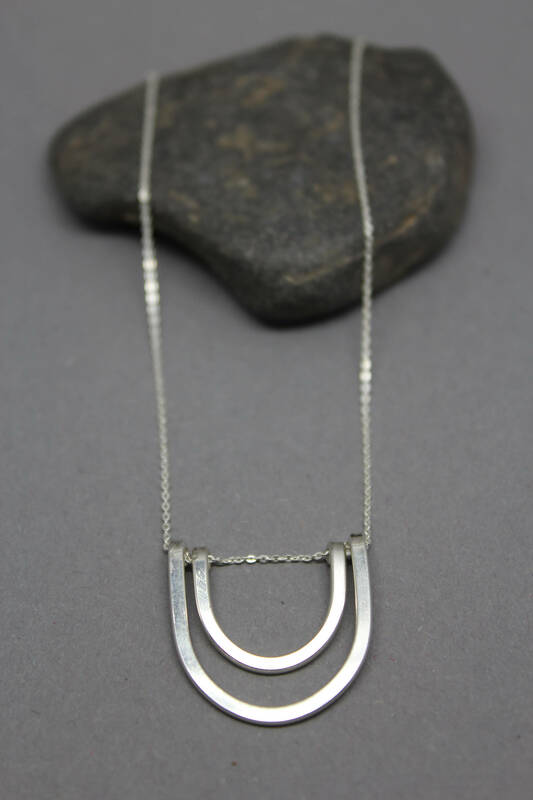 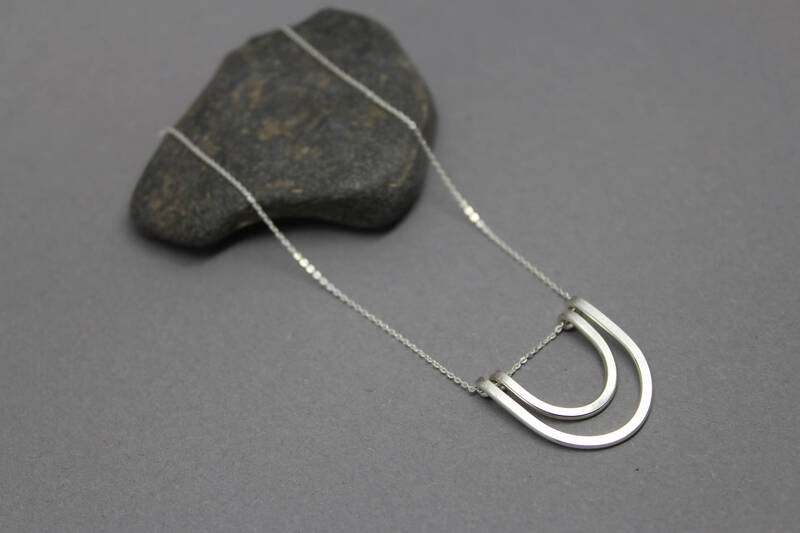 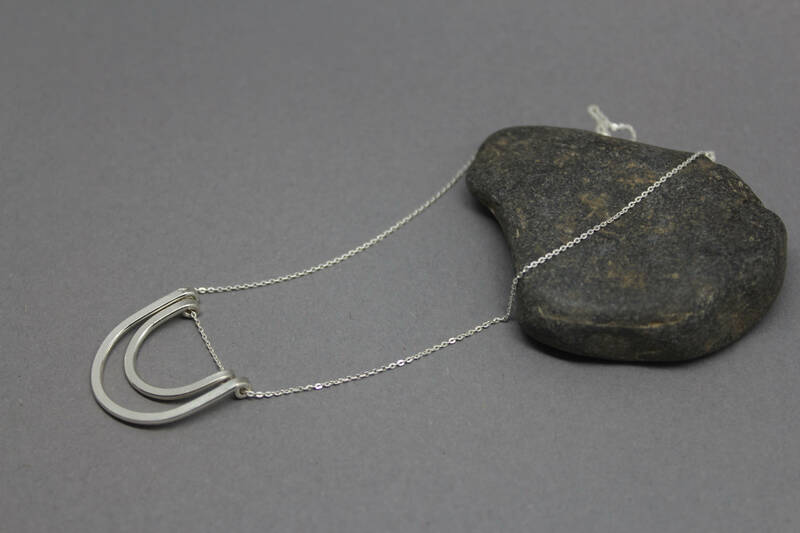 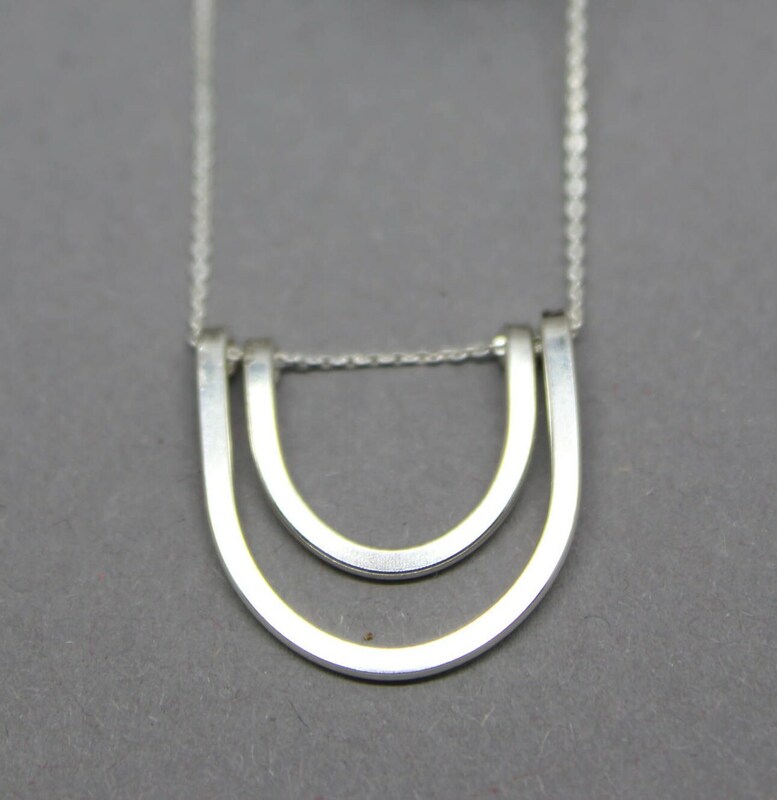 This minimalist necklace is made from sterling silver wire which has been formed into a simple curve, rolled to flatten the wire and attached to a sterling silver chain that can be worn at either 16" or 18". 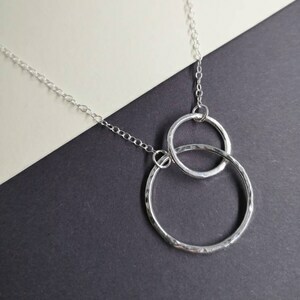 The outer curve measures approximately 2.5cm long and 2.5cm across and the inner curve roughly 1.5cm long and 1.5cm across. 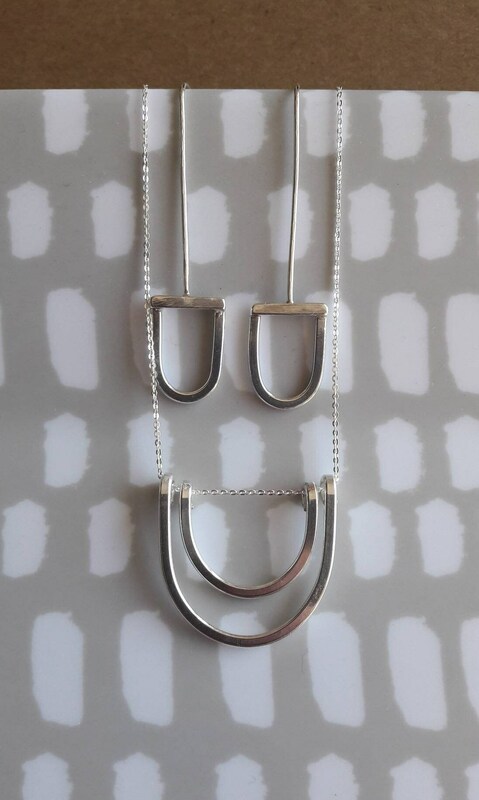 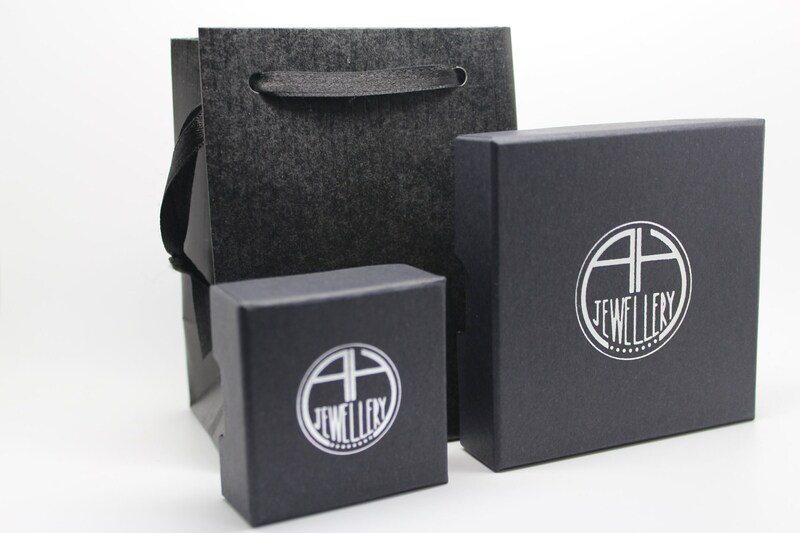 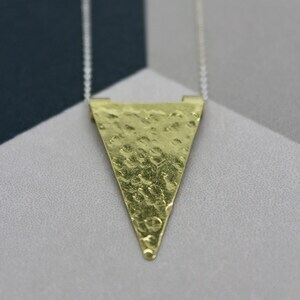 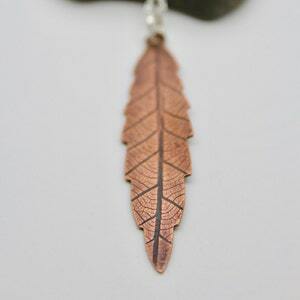 It's a simple design and therefore goes with many outfits.